Trevor-Roper, Hugh. Princes and Artists. Patronage and Ideology at Four Habsburg Courts. 1517-1633. Photo available. London. Thames & Hudson. 1976. Octavo. Hard cover. First edition. Illustrated. Review letter laid in. Fine copy in fine dust jacket (in mylar). Trickey-Bapty, Carolyn. Martyrs & Miracles. The Inspiring Lives of Saints and Martyrs. Owings Mills. Halo. 1996. 210 pps. Octavo. Soft cover. First edition. Illustrated. Fine copy. Tridenti, Lina. Anne Frank. Milan. Fabbri Edition. 1982. 4to. Hardcover. First edition. Illustrated in color and black & white. Fine copy. Trilling, Diana. Reviewing the Forties. New York. Harcourt, Brace & Jovanovich. 1978. 272 pps. Octavo. Hardcover. First edition. Fine copy in fine dust jacket (in mylar). Trimble, Steve. In the Shadow of the City. 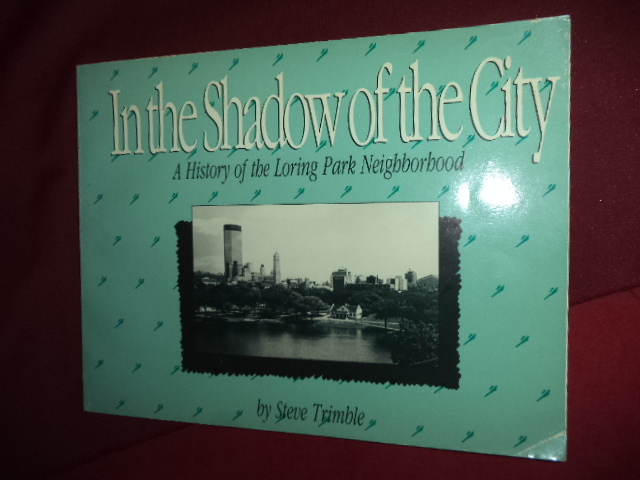 A History of the Loring Park Neighborhood. Photo available. Minneapolis. Minneapolis Community College Foundation. nd. 140 pps. 4to. Soft cover. First edition. Illustrated. Important reference work. Near fine copy (very light shelf wear, gift inscription on end paper). Trippi, Joe. The Revolution Will Not be Televised. Democracy, The Internet, and The Overthrow of Everything. New York. Regan. 2004. Octavo. Soft cover. First edition. Illustrated. Fine copy. Trombley, Stephen. The Execution Protocol. Inside America's Capital Punishment Industry. New York. Crown Pub. 1992. Octavo. Hard cover. First edition. Fine copy in fine dust jacket (in mylar). Troward, Thomas. Collected Essays of Thomas Troward. Marina Del Rey. DeVorss & Co. nd. 169 pps. Octavo. Soft cover. Reprint. Fine copy. Troyat, Henri. Peter the Great. New York. E.P. Dutton & Co. 1987. 392 pps. Octavo. Hardcover. Reprint. Illustrated. Fine copy in fine dust jacket (in mylar). Truax, Carol. The Art of Salad Making. Garden City. Doubleday. 1968. Octavo. Hard cover. Illustrated. Fine copy in fine dust jacket (in mylar). Truax, Carol. The Cattlemen's Steak Book. Signed by the Author. Best Beef Recipes. New York. Grosset & Dunlap. 1967. Octavo. Hard cover. First edition. Illustrated. Signed, with brand by author. Fine copy. Trudeau, G.B. The Reagan Years. New York. Holt, Rinehart and Winston. 1984. Octavo. Soft cover. Reprint. Illustrated. Fine copy. True, Webster. The First Hundred Years of the Smithsonian Institute. 1846-1946. Photo available. Washington. Self published. 1946. Octavo. Soft cover. First edition. Illustrated. Near fine copy (very light shelf wear). Truffaut, Francois. Truffaut Hitchcock. The Definitive Study of Alfred Hitchcock by Francois Truffaut. Photo available. New York. Simon and Schuster. 1984. 367 pps. 4to. Soft cover. Revised edition. Illustrated. Important reference work. Fine copy. Trump, Donald (by Accident). Cobert Staff, Emmy Blotnick. Whose Boat Is This Boat? Comments That Don't Help in the Aftermath of a Hurricane. Photo available. New York. Simon and Schuster. 2018. 4to. Hardcover. First edition. Full number line. Illustrated in black, white and color. Important reference work. Fine copy in fine dust jacket (in mylar). Tryon, Warren. A Mirror for Americans. Life and Manners in the United States. 1790-1870. As Recorded by American Travelers. I. Life in the East. Chicago. University of Chicago Press. 1952. Octavo. Hard cover. First edition. Illustrated. Fine copy in fine dust jacket (in mylar). Tucker, James. The Crimes of Yalta... And Its Innocent Victims. Mclean. Link. 1984. Octavo. Soft cover. First edition. Illustrated. Fine copy (owner blind stamp). Tucker, Sherrie. Swing Shift. "All Girl" Bands of the 1940's. Durham. Duke University Press. 2000. Octavo. Hard cover. Second edition. Illustrated. Fine copy in fine dust jacket (in mylar). Tuller, David. Cracks in the Iron Closet. Travels in Gay & Lesbian Russia. Boston. Faber & Faber. 1996. Octavo. Hard cover. First edition. Fine copy in fine dust jacket (in mylar). Tully, James. 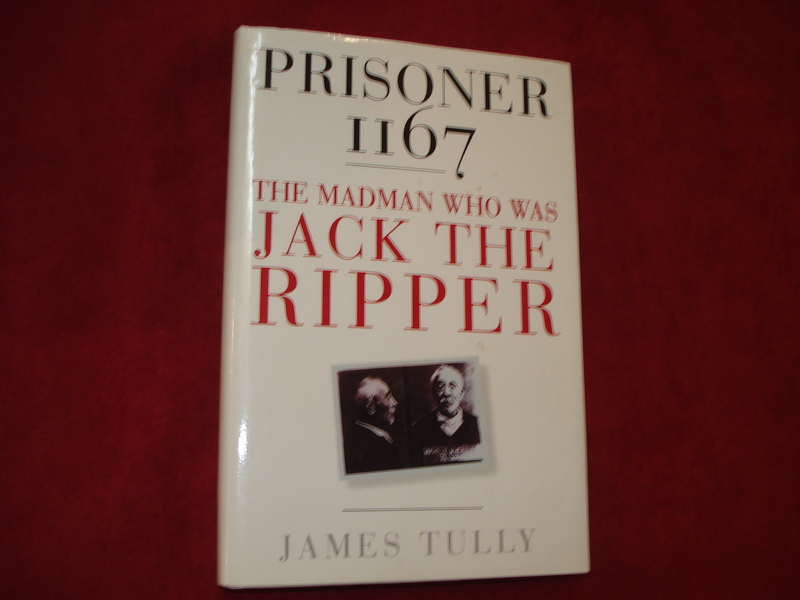 Prisoner 1167. The Madman Who Was Jack the Ripper. Photo available. New York. Carroll and Graf. 1997. Octavo. Hard cover. First edition. Illustrated. Fine (owner name on end paper) copy in fine dust jacket (in mylar). Tunis, Edwin. 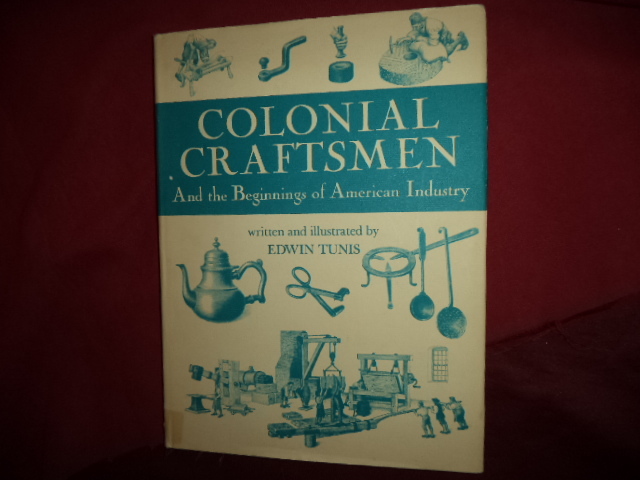 Colonial Craftsmen and the Beginnings of American Industry. Photo available. Cleveland. World Publishing. 1965. 159 pps. 4to. Hardcover. First edition, second printing. Illustrated by the author. Important reference work. Fine copy in fine dust jacket (in mylar). Tunley, Roul. Kids, Crime and Chaos. A World Report on Juvenile Delinquency. New York. Laurel. 1964. 288 pps. Octavo. Soft cover. Second edition. Fine copy. Tunney, Kieran. Tallulah. Darling of the Gods. New York. E.P. Dutton. 1973. Octavo. Hard cover. First edition. Illustrated. Fine copy in very good (light shelf wear) dust jacket (in mylar). Turner, Craig. 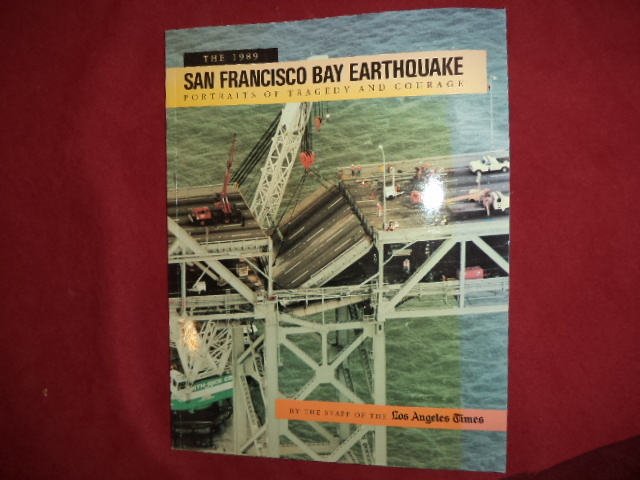 The 1989 San Francisco Bay Earthquake. Portraits of Tragedy and Courage. Photo available. Los Angeles. Los Angeles Times. 4to. Soft cover. First edition. Illustrated in black, white and color. Fine copy. Turner, James Grantham. 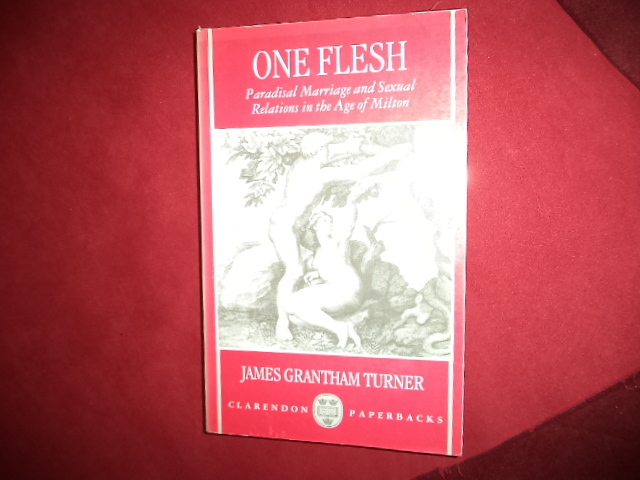 One Flesh. Paradisal Marriage and Sexual Relations in the Age of Milton. Photo available. Oxford. Clarendon Press. 1993. 320 pps. Octavo. Soft cover. Reprint. Illustrated. Important reference work. Fine copy (spine lightly sunned).